The event was very well run - organized yet laid back. The turnout was very small, which was both unfortunate as it meant the organizers barely broke even, but also great as we got to do as much driving as we wanted. We managed 20 runs between two drivers which was fantastic. The course was changed twice throughout the day as well, keeping things fresh and interesting. 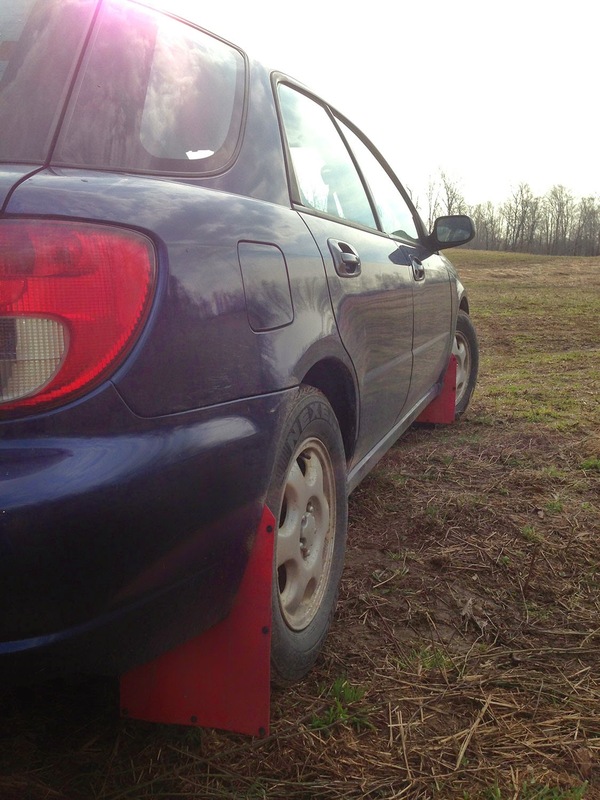 The car ran without a hitch - didn't burn a drop of oil, the temperature stayed perfectly normal, and our DIY mud flaps stayed on even after being showered with rocks mud and sticks. Our JDM seats got a bit of attention too! My RWD background kept telling me to give it less gas than I should. I had to constantly remind myself to keep the right foot welded to the floor and control the slide with a touch of brakes using the left foot. In a Subaru, corner entry is key. While in a RWD car you can adjust the slide mid-corner, in an AWD car if you don't get it to slide before the corner, you'll understeer all the way through with no way to correct it. So the goal is: slow in, boot full of throttle out. The Scandinavian Flick works! I haven't had the need for it with a RWD car, but with AWD it really helps gets the car to rotate nicely for tighter corners. Overall we had an awesome time. It was our first time driving on mud, and second rallycross event, so we were very pleased to get 5th and 7th places. I beat Danil again, but in his defence he did go off course once, adding 20 seconds to his overall time. I genuinely had to push hard to keep up with his times. 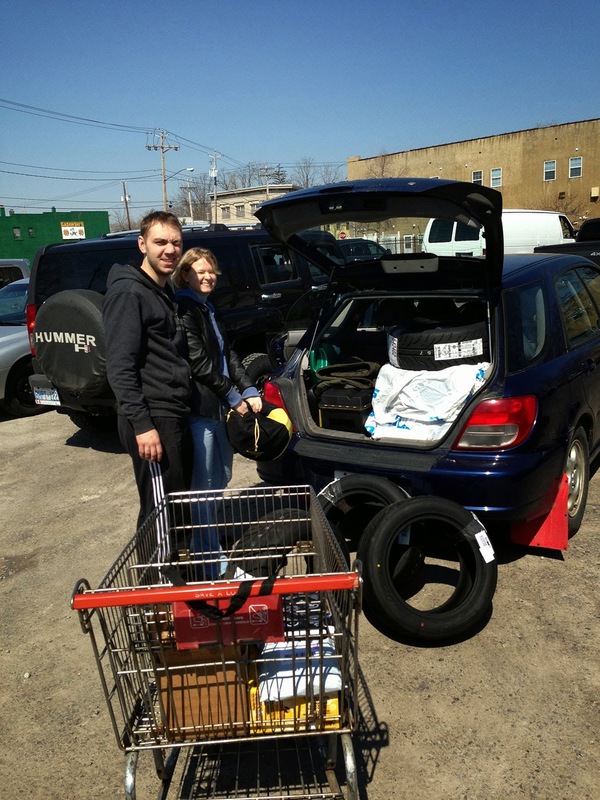 An Impreza Wagon can fit 2 Subaru wheels, 4 Miata tires, a jack, 2 transmission mounts, a massive toolbox, a backup battery pack, a tire compressor, a full set of pads and rotors, a set of brake lines, couple bottles of brake fluid, 4 five-litre bottles of coolant, oil, and water, 4 gauges, 3 helmets, some clothes, 6 bottles of Belgian beer, 2 boxes of shoes, and about a thousand croissants... and that's with 3 people in the car! Yours truly. Happy that I didn't have to leave any of my parts behind.